Here on StyleScoop, when I talk about “sumptuous treats” I’m usually referring to make up and beauty products. 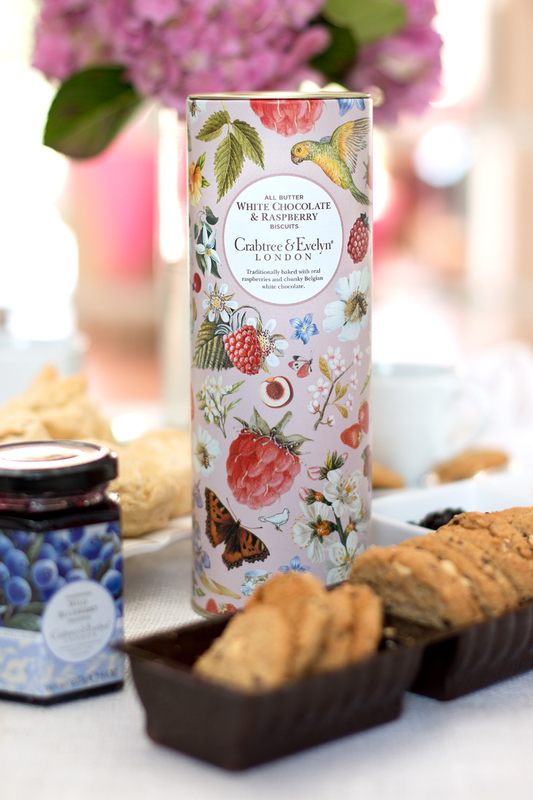 But today, I’m talking about actual mouth-watering, sumptuous treats from Crabtree & Evelyn. Oh la la! Can you think of anything more British than traditional afternoon tea out in the Garden? How about breakfast with hot buttered toast, loaded with delicious preserves? YUM! At Crabtree & Evelyn, tradition is important to us, which is why our finest blended teas, preserves, baked goods and confectionary are made using traditional, time-honoured techniques, often by family-run businesses with decades of experience. These edible treats offer something that just about anyone with a penchant for all things English can enjoy just about anywhere in the world. 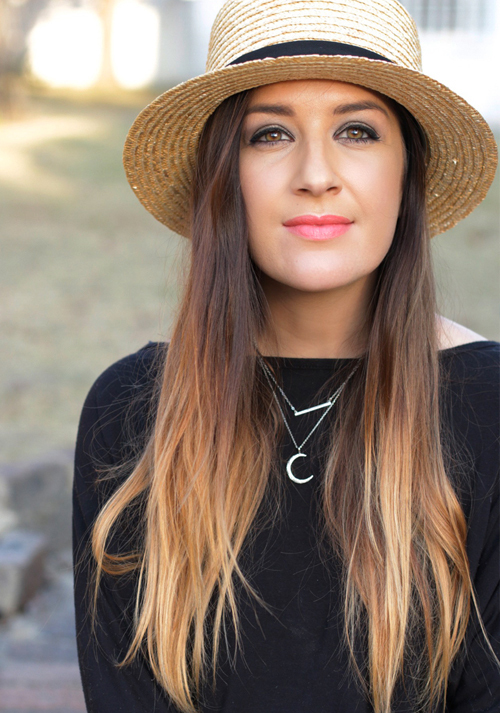 Having sampled some of the delightful treats from Crabtree & Evelyn, I wanted to share this with my lovely readers, because you too can get your hands on these treats without leaving SA. The range of Preserves from Crabtree & Evelyn are slowly hand cooked in the heart of the Somerset Countryside. They offer a bit of a twist on traditional British classics that have been loaded with modern flair. The team who produce these fine preserves have been hand-crafting preserves for more than 30 years, and when you taste them, you can instantly tell what makes them so special. 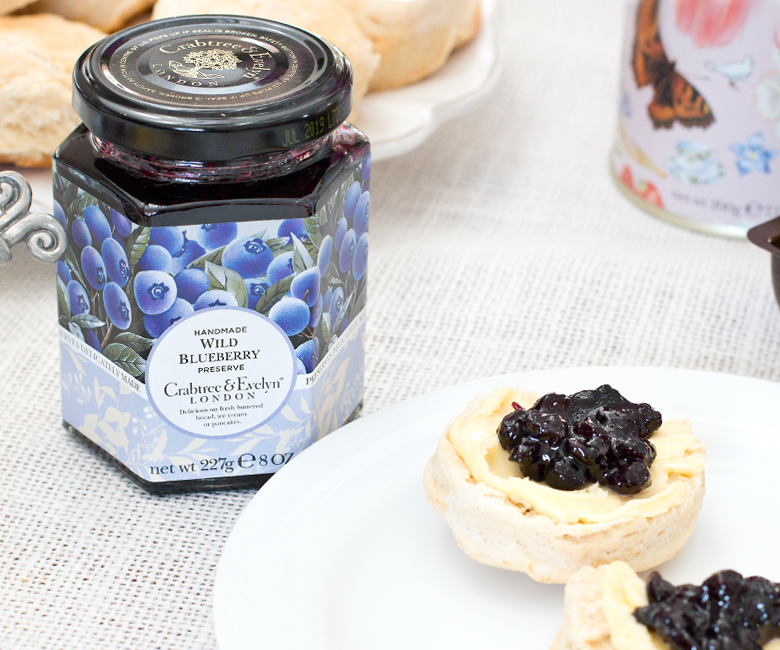 Like this Crabtree & Evelyn Wild Blueberry Preserve (R130 for 227grams). It tastes delicious on just about anything, but I really wanted to bring out the flavour by baking Scones on Sunday Morning, so that I could experience the true yumminess in true British tradition. 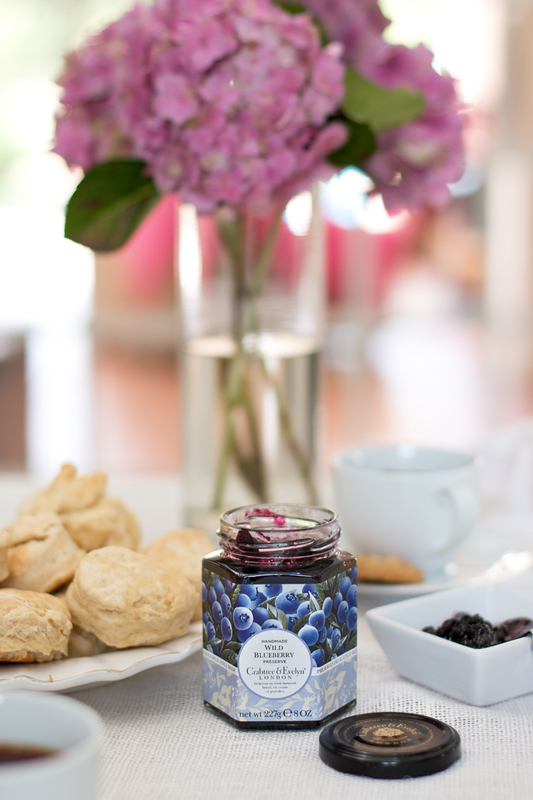 The preserve is chunky, with lovely textures from the Blueberries that make your mouth want to break out in song! This was so good, I could even eat it straight out of the jar! 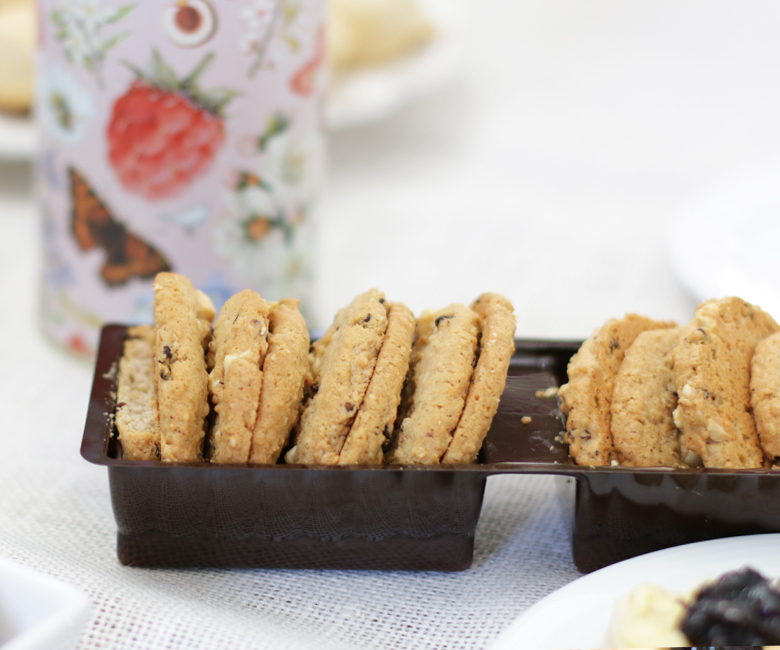 Made by a family run business in the heart of Scotland, Crabtree & Eveyln’s exclusive range of biscuits are traditionally baked and come packaged in the most delightful tin keepsake. This not only prevents your precious biscuits from being smashed, but it helps to keep them fresher and, when giving as a gift, you don’t even need wrapping paper! I got to sample the Crabtree & Evelyn White Chocolate & Raspberry Biscuits (R200 for 200grams) and they were so indulgent, I had to hide them away in the pantry so that I could save some for my hubby! I don’t usually devour biscuits, but these I could quite easily have eaten the whole pack. The biscuits are crumbly with real chunks of fine white Belgian Chocolate and freeze-dried raspberry pieces. I enjoyed mine with some tea, and the heat from my teacup melted the white chocolate, making it even more deliciously mouth watering! Now that your mouth is no doubt watering, I’m sure your next question is how do I get my hands on these treats? Luckily for you, you can shop them online from Crabtree & Evelyn. Just click on the “Food” tab in the main menu.